Available in two different models (102-1 and 102-4) the Amplivox Otowave 102 is a handheld, portable tympanometer that provides fast and accurate middle-ear measurements with the utmost reliability. Its lightweight, ergonomic design makes it fit comfortably in your hand during testing, and allows you to conduct tests on the go. 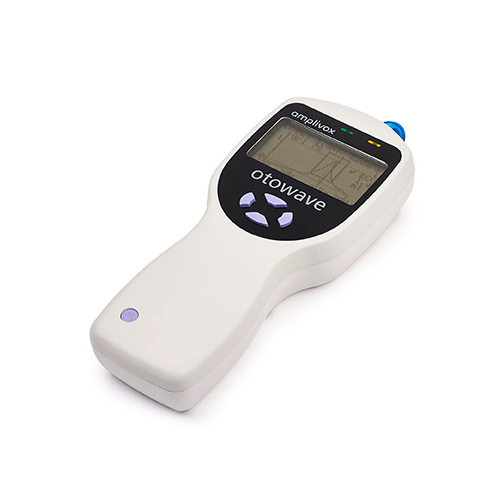 Additionally, the Otowave 102 is easy to operate as it displays information on its high-resolution screen before, during, and after each test. After review, results can be saved within internal memory with a patient identifier, printed via infra-red connection to a printer, or transferred to a PC. Electronic data storage (database PC requirements): NOAH aud module. Amplivox impedance module. Infra-red PC port.